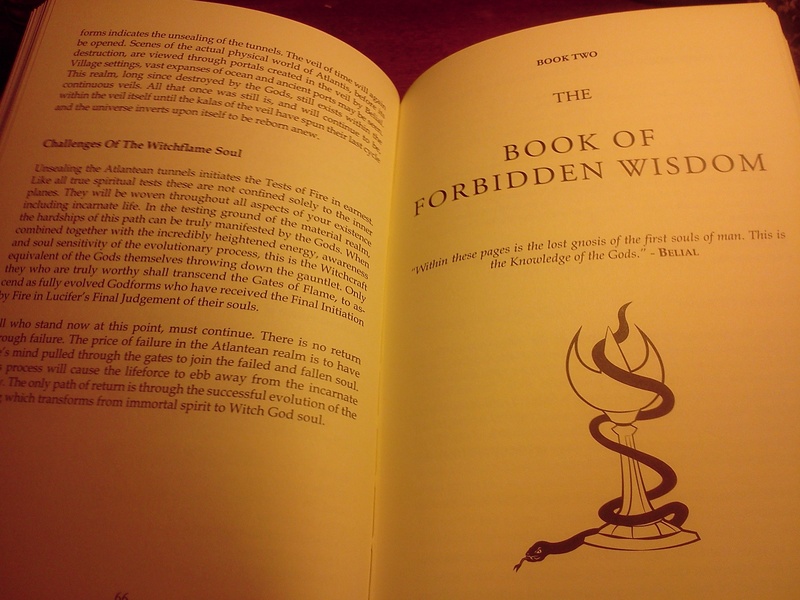 Last month I was delighted to find a kind gift from author (and fellow Hekate devotee) Mark Allan Smith on my doorstep of a signed copy of his new book, The Scorpion God: The Forbidden Wisdom of Belial (On my birthday no less, not that he knew that. Still a nice touch). I thought, like I did with the other two, I would take some time to review it. I have to say, I felt very intimidated at the prospect of doing a review for this book, unlike the other two. First off, there are so many specifics where does one start? It’s HUGE. Second, as I will detail below I’m not a practitioner of his system at this time so it’s hard to write from personal experience. I still think I can give it an objective review though. First off the obligatory disclaimer. Disclaimer: Even though this book was a gift, I am under NO obligation to review it or give it a positive review. I’ve spent time reading it and have refrained from reading other reviews or listening to his interview on Witchtalk so that I could give it the thoroughness and objectivity I felt it deserved. So first things first. His previous two books were published by Ixaxaar, and this marks the first volume published by his own publishing company Primal Craft Occult Publishing. The question that I think was on everyone’s minds is will the quality compare? I’m happy to say yes. The book (in this case the standard edition) itself is gorgeous, bound in mahogany silk with a gold seal emblazoned on the front. As a matter of fact the book was delayed because the original quality of the seal did not meet Mark’s expectations and he sent them all back. I’m happy to say the final version is as beautiful as you have come to expect with the previous two volumes. As in the cases past each copy is individual numbered and consecrated by the author in his forest temple. The illustrations by Namtaru Creations are the same high quality as in the past books as well and are dripping with dark Witchy goodness. (Here”s an interesting tip: try scrying the pictures. There are hidden gems there you won’t be able to get by just reading the text alone. I’m not sure if this was intentional or not, but just try it. YMMV.). The book is the third in his series detailing his own system and revelation of left hand path Hekatean/Luciferian Alchemical Witchcraft. 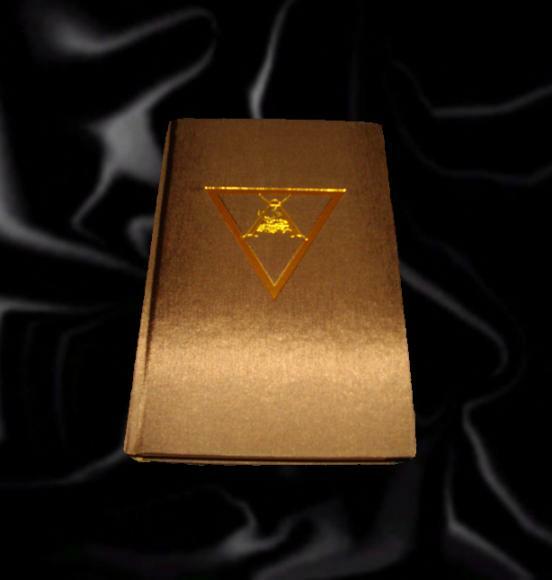 In case your unfamiliar with these books they represent a gnosis-inspired path of alchemy and soul transformation through those whom Mr.Smith describes as the Trident of Witchcraft, Hekate, Lucifer, and Belial. Each book has you questing for soul alchemy and self-deification, a different aspect of which is bestowed by each one of these three. This book continues the quest through the qlippothic realms where the other books left off. Much as The Red King (TRK) was twice the size of The Queen of Hell, this book is again almost twice the size of TRK. Here check them out all stacked up. As you can see this book is almost the size of the other two combined. If you thought The Queen of Hell was complex, this book makes it look like pre-school in comparison. In short, it’s pretty densely packed. This book in particular reveals Smith’s gnosis of Belial whom he equates with the symbol of the scorpion (thus the Scorpion God). He is the patron of this book, and it has a much more earthier, grittier quality than the other two books. Where as Hekate and Lucifer maintain some celestial aspects, his vision of Belial seems to be wholly chthonic and this is reflected in the content of the book. 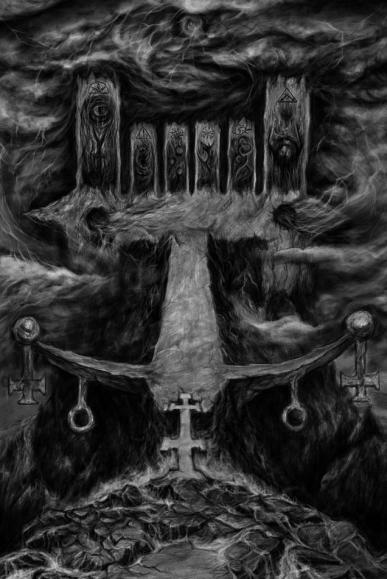 There is a heaviness and seriousness that pervades the book, and you can feel the influence of Belial coming through. It has a very different feel than the other other and it’s a lot darker in content and subject matter than the previous two. It will be taking you to deep places. One of the first things the book has you do is undertake a trial of Belial to gain an astral scorpion form that serves as a protective armor through the, shall we say, less savory neighborhoods of the astral realm you will be traversing as part of your self-deification quest. I thought this was particularly interesting. He lays out the path on the astral landscape you will take through the crossing of forgotten deserts and making sacrifices at guarded altars and locked temples mentioned only in myth. You’ll be interacting with werewolf spirits and engaging in lycanthropy and meeting with vampire gods, and of course working with various chthonic spirits. Lots and lots of spirits. Pretty cool stuff. This book is much less heavy on the physical crafts and acquisition of arcane materials than was represented in the first two books. This book is almost entirely astral journey work and ritualistic soul transformation. It also greatly fleshes out the Atlantean cosmology that he laid out in the first two books and firmly grounds these three entities within that Atlantean current. Here all is laid bare. I think one criticism I’d like to address is that I’ve heard many people shy away from his books in fear that they are “made up” due to the fact that they are primarily gnosis derived and not part of any existing tradition.Mark makes clear his books derive from an Atlantean current which he is working to bring forth, not a pre-existing tradition. In both reading his books and talking with him I’ve encountered an alarming number of synchronicity to my own gnosis. For instance, in one section I was stopped dead in my tracks to find the sigil of a new spirit that revealed itself to me a month previously that I have worked with to good effect. Even more interesting the name was almost the same (just spelled a bit different than I spelled it). I think Mark is doing important work, that is going out and actually meeting new spirits and bringing back with him information how to contact and work them and wrapping that knowledge up in a cohesive self contained system. Not many people are doing that right now and I think you’ve got to give him kudos for it. I think its important work, even if your not of a chthonic persuasion. 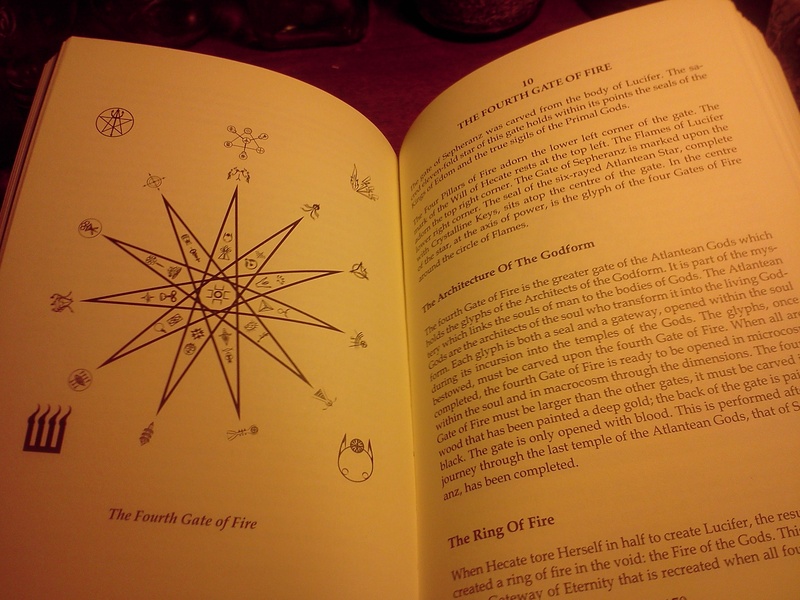 Notice however, that most of the book stays firmly on the left hand/chthonic path and involves heavy demon work. For a lot of people that won’t be a problem, probably a bonus even, but it’s not everyone’s cup of tea. If you liked his other previous books you’ll want this one for sure. I’m probably preaching to the choir here by now. If you did not like his previous stuff, you’ll definitely dislike this one too. Regardless you should not start with this one. That would be like trying to tackle a thesis in astrophysics before you learned basic algebra. If you’re new to his work you’ll need to hunt down a (now rare) copy of Queen of Hell. However those who are not interested in pursuing a path of soul alchemy and are simply interested in his gnosis and vision of Belial will probably enjoy it regardless. It is a fascinating read in it’s own right. Image taken from Primal Craft Website. Copyright of Mark Alan Smith. In the past I have given my personal experiences. I can’t do that on this book because I’m not currently a practitioner of this system. In the past reviews I mentioned that although his system can be worked side by side your existing path for a little while at some point I felt that you would have to choose. We’ll I came to that point. This stuff requires a total commitment that I cannot give, as my direction lays elsewhere. His work represents a very specific path of alchemical soul transformation. I myself have chosen a Hermetic/Celestial soul path through the 9 spheres that I believe is incompatible with this one. At least at the same time. Maybe once I go up I can head back down, but that will be many years down the line. You can only commit to one thing at a time, and I’m pretty serious about what I’m doing right now. Further more at this point in my life (at age 38 with 3 kids) I don’t feel comfortable doing demon work any more. If I was a younger man without that responsibility I would dive head long into it enthusiastically, but for now that time has passed. I’m happy with my angels and nature spirits at the moment! I still think he is doing really interesting and important work and I will continue to be interested in and supportive of what he puts out, but I can’t speak to personal experience on this book with any integrity right now. He has indicated there will be further works in the Primal Craft collection, and I for one can’t wait to see what’s next! You can listen to more about this book by listening to Mark’s Witchtalk interview here. Hey I just had a quick question first off great review and great read. Now to the question I’ve been trying to find these books online for awhile now and I’m trying to find cheaper ones as I dont have the money right now to buy them the only place I can seem to find them is eBay for 185 and they only have one of books if u could be of any help I would very thankful. Great review! But will add that if you don’t have Mark’s previous two books in the series and you purchase The Scorpion God Mark will send you a pdf of ‘Queen of Hell’ and ‘The Red King’. Not the whole books but everything you need to work this path.